97-year-old war widow Daphne Dunne even stole a quick kiss. Just when you think Prince Harry can't get any more lovable. In case you were unaware, the Prince was in Sydney on Wednesday to launch the 2018 Invictus Games -- the Paralympic-style multi-sport event for injured or sick armed-service personnel which he founded in 2014. It was what happened after the launch, however, that will warm your hearts even more. 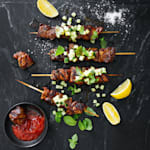 After watching a boat show on Sydney Harbour in the pouring rain, a very soaked Prince Harry took the time to greet fans alongside NSW Premier Gladys Berejiklian in Circular Quay who had been awaiting their arrival for hours. 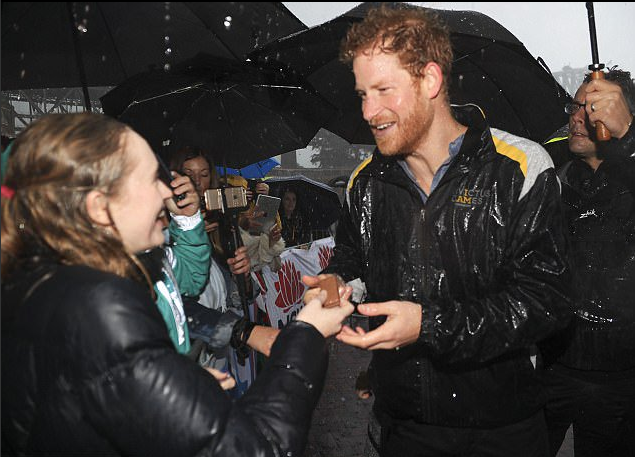 One of those fans was war widow Daphne Dunne -- who, according to The Daily Mail Australia, waited an incredible "seven hours in the rain to be reunited with Prince Harry". 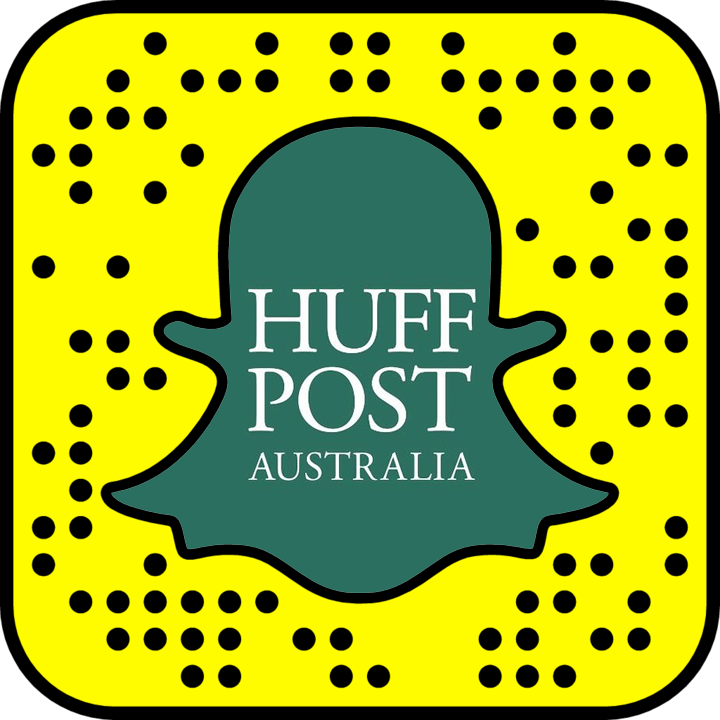 The 97-year-old had met the Prince during his last visit to Australia in 2015 and famously stole a kiss from the young Royal -- and she wasn't going to miss her chance for another quick peck. Armed with nothing but a small umbrella as she sat patiently awaiting her prince, Harry recognised Daphne almost instantly and was more than happy to accept her show of affection. 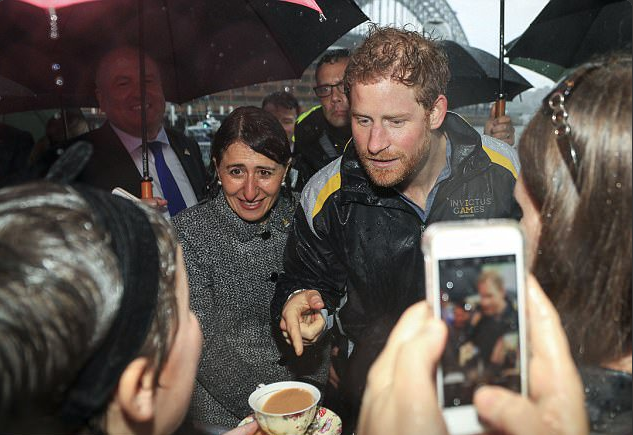 In his efforts to get to all the well-wishers and Royal Family fans that had lined the Harbour, Prince Harry was also offered his fair share of food and drinks by fans -- with some even offering him a cup of tea and a Tim Tam. 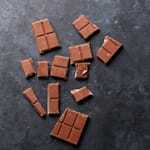 Word is he rejected the Tim Tam though. We're not sure how we feel about that, Harry -- even if it is because the Royal Family aren't allowed to accept gifts of food at official engagements. 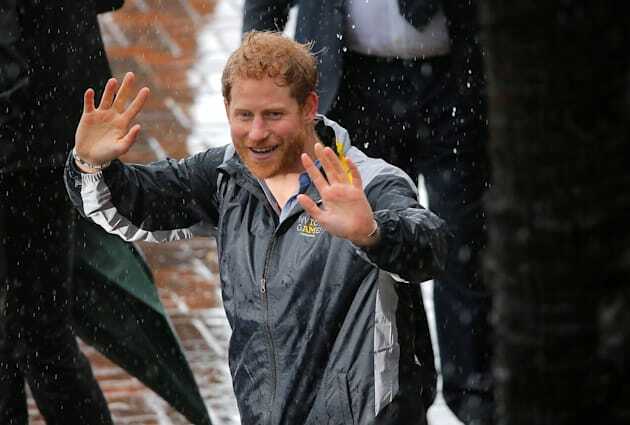 While there were fans who reportedly worried about the Prince being in the rain without an umbrella, Harry appeared unfazed by the downpour, saying "this is not British weather this is rain." And nothing could wipe the smile from his face.